Have you ever thought about pairing your wine with the Provencal truffle or as the French like to say “Diamant Noir”? 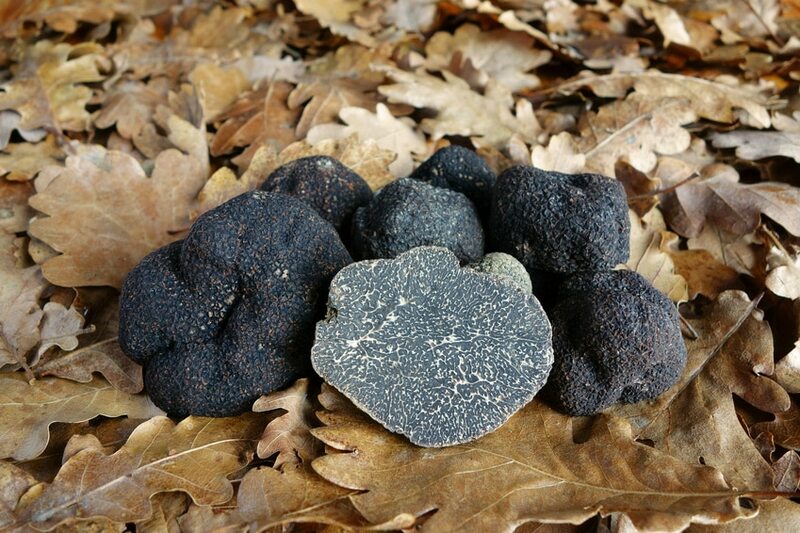 During the winter months the earth provides us with one of the world’s most luxurious foods: the black truffle. These wild earthy delicacies coupled with a carefully selected bottle of wine are an excellent combination which will not only send your taste buds on a mysterious journey but will ignite any occasion with a touch of class. When pairing your wine, the type of truffle matters. Opposites have a tendency to attract, with black truffles pairing seamlessly with white wines, sparking wine and champagnes and white truffles with red wines but then again this is not set in stone and can vary. The truffle is well-known for its musky aroma taste profile and can therefore dominate a delicate neutral red or white wine which means it tends to match well with aged wines rather than a light, youthful and fruity wine. If you decide to bring out an aged wine make sure you allow it time to breath before consuming by decanting. Matching truffles with the right food and wine is important to enhance the flavours. The structure and persistence of tertiary aromas such as earthy and mushroom notes are usually recommended and will match perfectly with the intensity of the truffles without competing with them. If you want to learn more about the perfect duo please see our wine tours available here available from November through to February.